Think outside main street and hear some quality music for your head and feet. This month our special guest is Brien Scott. Help us celebrate his recent move to Chico by showin him how we party! As a writer for Ibiza Voice Magazine, DJ and bass player in random punk bands, expect a wild ride perfect for your black market needs. 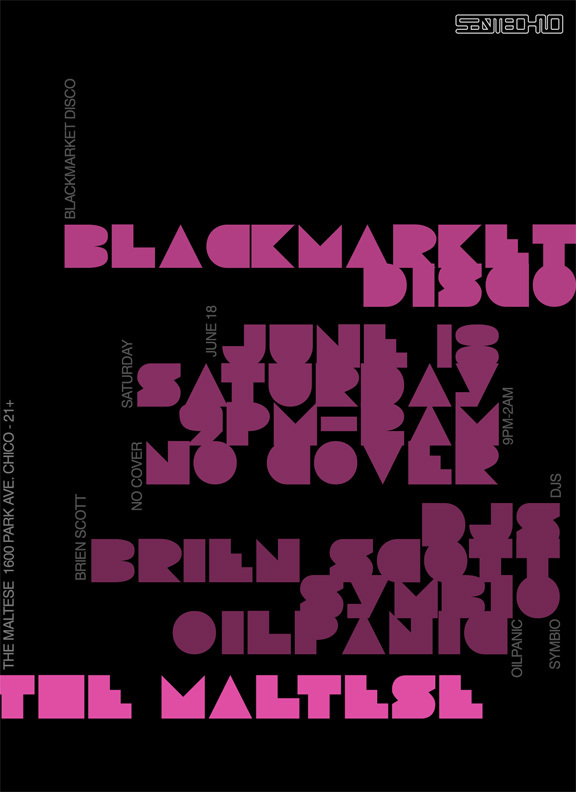 This entry was posted in Events and tagged Black market Disco, brien scott, Chico, dj, Oilpanic, Symbio, The Maltese. Bookmark the permalink.